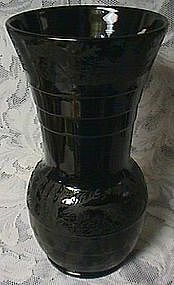 Tiffin Glass Co. made this vase. This is a 10" teardrop vase. It's in great shape. Thanks for looking. 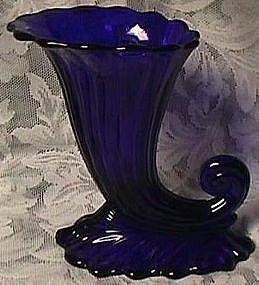 Cambridge Glass Co. started making this vase in 1937. 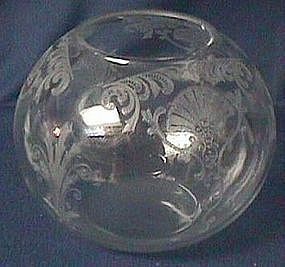 This is the #404 6" ball vase. It measures 5" tall. It's in great shape. Thanks for looking. Paden City Glass Co. made Gothic Garden. 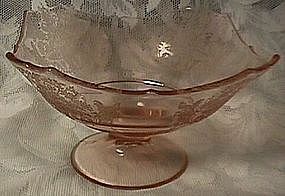 This pink comport is 8.5" x 5". It's in great shape. Thanks for looking. 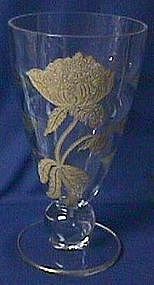 Jeannette Glass Co. made Floral from 1931-35. 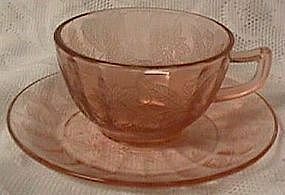 These cups and saucers are in great shape. Thanks for looking. Paden City made Black Forest in the 1920's & 30's. This is the 10" #210 vase. It's in great shape. Thanks for looking. 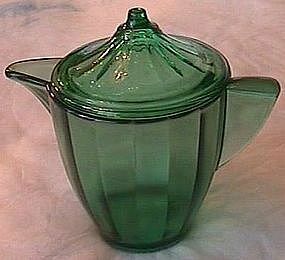 Hocking Glass Co. made Block Optic from 1929-33. This console bowl is in great shape. Thanks for looking. 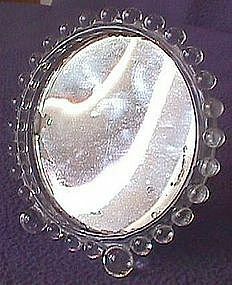 Imperial Glass Co. made this Candlewick mirror. The glass is in great shape. The mirror is worn. Thanks for looking. 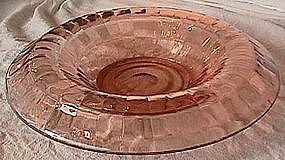 Tiffin Glass Co. made Jungle Assortment from 1922-34. This candy and lid is in great shape. Thanks for looking.